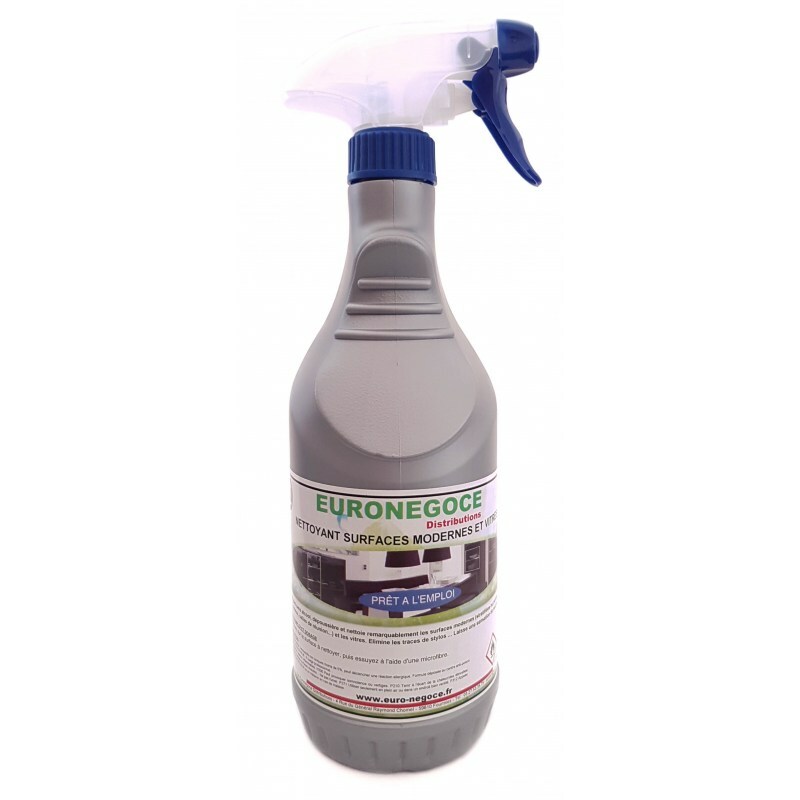 Euronégoce presents its modern multi-surface cleaning product and professional glass specially designed for the removal of stains or stubborn dirt. This non-alcoholic product leaves no trace on your surfaces and will leave you feeling new to the touch. Ideal for cleaning surfaces such as your windows, your table, your desk or your cabinets. Euronégoce offers its modern multi-surface cleaner (laminated or painted surfaces, telephones, desks, meeting rooms etc ...) and windows. This alcohol-free product has a formula specifically designed for the eradication of tough stains and other soiling. It will leave no trace on your cleaned surfaces, and will even give a new feel to the touch. This product is available in 750mL bottle. The multi-surface cleaning product is available in bottles containing a significant amount of 750mL of liquid, allowing you to clean many elements. It is based on a pH 5 for a slightly acidic result, and is therefore very effective in eliminating the most recalcitrant tasks, such as pen traces. This colorless liquid consists of nonionic surfactants and solvents. Without alcohol, he is approved food contact. This product is 90% biodegradable. Euronégoce multi-surface cleaner complies with the safety standards in force, its formula is deposited in the poison control center of Nancy. This liquid is flammable and may cause drowsiness or dizziness, use outdoors or in a properly ventilated area. Spray your product on the surface to be cleaned, then wipe clean with a microfiber. We recommend that you store Euronégoce multi-surface cleaner in a ventilated area. Euronégoce cleaning products are manufactured in compliance with the safety and hygiene standards in force and the decrees concerning cleaning products for equipment in contact with foodstuffs. Their formulas are issued to the competent poison control centers. You benefit from quality products and safe to use.